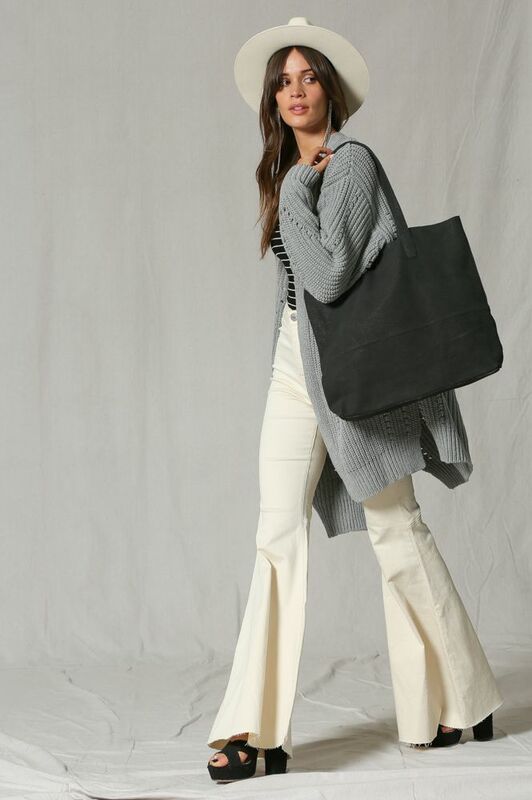 This square grey leather tote bag makes the perfect all around go to bag. 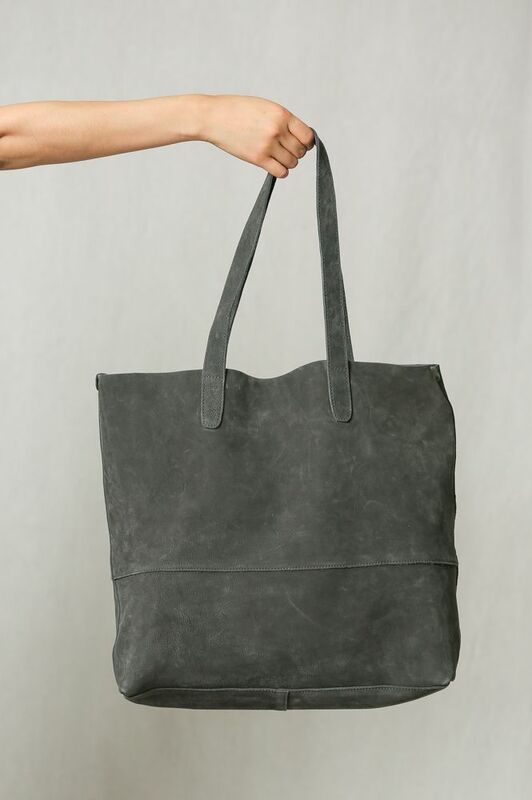 Big enough to use for work or an everyday bucket bag. You’ll look good and have all the necessaties for your day in one spot! 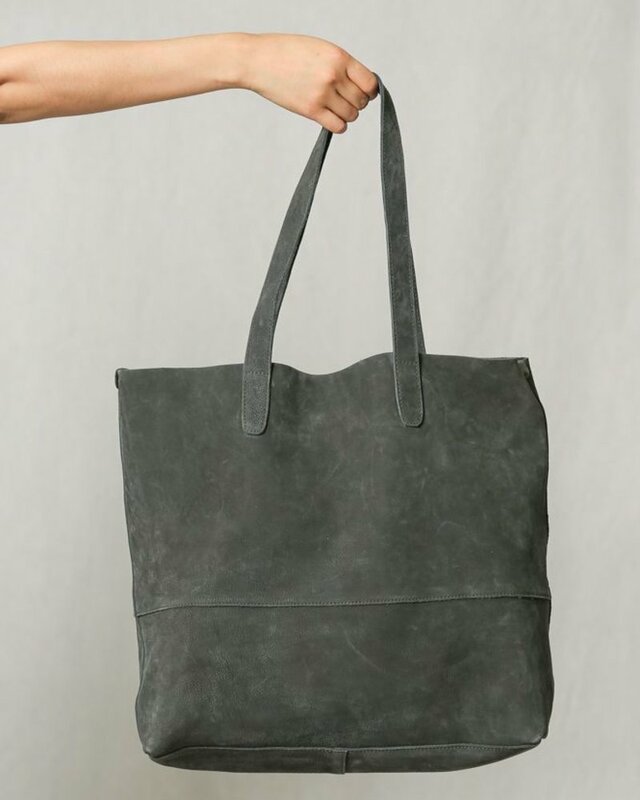 Real leather with the right amount of give to be a great everyday bag!